The State's Michael Showalter and David Wain continue to dominate the comedy category, delivering constant laughs with their television and movie works. 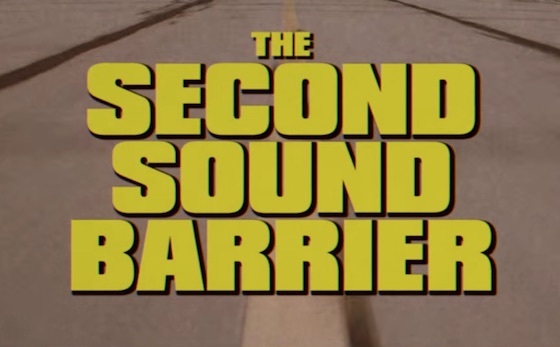 But it turns out they don't even need the projects to be real — their latest is a stunning movie trailer for a fictional movie called The Second Sound Barrier. The would-be flick is a throwback to over-the-top '70s action thrillers, and it sees three men racing in an effort to break the titular second sound barrier. Somehow, in doing so they'll save a mysterious woman named Lady Billionaire. The brief video stars Juliette Lewis alongside Jeremy Sisto, Peter Mensah, Vincent Kartheiser, Ken Marino, Steve Little, Bob Stephenson and others. Most importantly, the video is packed with gags. Watch the trailer for The Second Sound Barrier below.